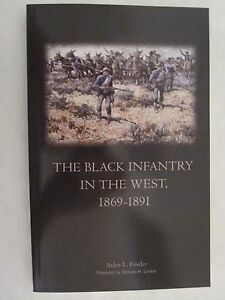 This book covers the less famous "buffalo soldier" reigments, black US Army units, serving on the 19th century trans-Mississippi frontier. The 24th and 25 th Infantry were composed of African-american enlisted men and commanded by white officers. Their missions were often less harzardous than the horse mounted comrads but they covered themselves in glory nonetheless. I would recommend this book as a very readable general hiustory of a little known aspect of American history.